When I travel, I often find it convenient to call for an Uber. When it arrives, I generally strike up a friendly chat with the driver. Yet I'm still surprised by how frequently the driver tells me he or she is "retired." Some, of course, say they're just bored and looking for something to do. But many straightforwardly confess that they simply don't have enough money to maintain their lifestyle in retirement. And that's a shame. No one dreams of spending their golden years ferrying strangers around town. Out this week is the best book on retirement and income investing I've ever read. 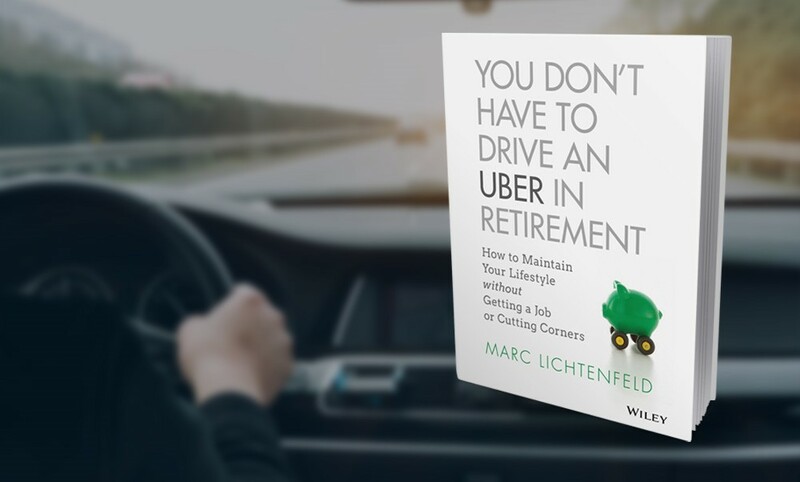 It's called You Don't Have to Drive an Uber in Retirement: How to Maintain Your Lifestyle without Getting a Job or Cutting Corners by my longtime friend and colleague Marc Lichtenfeld, The Oxford Club's Chief Income Strategist. The book's subtitle is a tall order. The 2017 Retirement Confidence Survey revealed that millions of Americans are woefully unprepared for retirement. Almost a quarter (24%) have put aside less than $1,000 for retirement. And nearly half have accumulated less than $25,000. But even if you have one, you're not necessarily home free. Citigroup estimates there is an $18 trillion shortfall in American pensions. Regardless of how much you've saved for retirement, there's no need to despair. How to buy real estate ridiculously cheap when someone doesn't pay their property taxes. Marc's essential wisdom is worth its weight in gold. I often talk to people who aren't sure how to plan and invest in retirement. No wonder they're confused. There is so much information, so many alternatives and so many people trying to sell them something. Marc, on the other hand, is simply sharing the knowledge he has accumulated over a lifetime. He is one of the nation's leading investment analysts, especially when it comes to income investing. AbbVie (NYSE: ABBV) is up 130%. Darden Restaurants (NYSE: DRI) is up 133%. Nippon Telegraph and Telephone (OTC: NTTYY) is up 149%. Digital Realty Trust (NYSE: DLR) is up 158%. Texas Instruments (Nasdaq: TXN) is up 274%. Raytheon Co. (NYSE: RTN) is up 277%. This is just a small sampling. More astonishing still, these companies are all dividend payers. This is no easy feat. Most stocks that pay generous dividends are big, mature, slow-growing companies. (You know, utilities, food companies, real estate investment trusts and so on.) Yet Marc regularly mines gold in this sector. With the help of his new book, you can too. 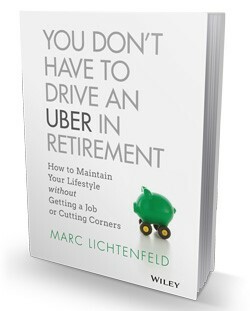 You Don't Have to Drive an Uber in Retirement is now available in bookstores nationwide. However, Amazon is currently offering it at a substantial discount to the cover price. For more information or to obtain your copy, click here. You only retire once. And the fear of outliving your money is real. So the choices you make are vitally important. If you want to choose wisely, trust Marc Lichtenfeld. As with his best-seller, Get Rich With Dividends, Marc's latest tour de force shows you how to live a richer, more worry-free life in retirement. So it makes sense that today's pick comes from his Oxford Income Letter. In the January issue of the The Oxford Income Letter, I mentioned that energy is one of the sectors I like for 2018 as the economy continues to grow. Chevron (NYSE: CVX), which is in our Compound Income Portfolio, has struggled in the past few weeks since reporting lower-than-expected earnings. However, the long-term prospects are strong and the recent slide is a good buying opportunity. The company reported results on February 2. Cash flow came in slightly lower than analysts expected in the fourth quarter, which led to the stock's decline. However, management said it expects growth of 4% to 7% if oil is at $60. It needs oil to trade at $50 per barrel to have break-even cash flow. Today, oil is trading just over $60. The market expects the average price to rise to $68 this year. For years, Chevron has had some of the highest margins and return on capital in the industry. Strict cost controls enable the company to get the most bang for its dollars. It also has lots of new projects, including what it called "a significant oil discovery" in the Gulf of Mexico. Chevron is a 60% owner in the new well, which is situated in deep water in the Gulf. During its fourth quarter earnings report, Chevron announced a boost to its dividend. Shareholders will now receive $1.12 per share, up from $1.08. It's the 31st year in a row the company has raised the dividend. On the company's conference call, CEO Mike Wirth stated, "Our No. 1 financial priority is to maintain and grow the dividend when we can sustainably support the increase with cash flow and earnings." Over the past few years, that was difficult to do. Chevron's free cash flow was negative going back to 2012. But going forward, the company is expected to generate significant cash flow, well in excess of what it will pay in dividends. Chevron has had a rough go of it for a few years. Even so, because of its strong dividend, we have a positive return. Now that oil should be stable and possibly increase in price, Chevron's fortunes should turn around in a meaningful way. If you don't yet own Chevron, add it to your Compound Income Portfolio today.